It turns out that breaking a sweat will break you out of the cycle of substance abuse. How does it do that? A better question would be how doesn’t it. Therapists, fitness experts and former addicts are discovering the physical and mental benefits of wellness, especially for those in recovery, and they are numerous. Here’s a look at some that may inspire you to go for a run right now. Though you may not feel it, drugs and alcohol have likely put your body through the wringer. High blood pressure, weakened muscle tissue and decreased lung capacity are all symptoms of long-term abuse that have a tremendous negative effect on your overall physical health. A diet and exercise program will help you recover your strength, stamina and energy, ultimately leading to stronger mental health as well as a better physique. Your brain has been rewired through substance abuse to constantly crave the high you get from your poison of choice. Exercise turns that cycle to good use by boosting production of feel-good endorphins, providing a high similar to drugs and alcohol but from something healthy. Over time, you’ll even begin to feel this chemical reward from other activities such as eating or meeting someone new. Exercise helps you manage your anxiety, says a doctor in Health magazine. That’s because of a crucial link between the mind and body, and what’s good for one is good for the other. According to research cited in the article, the three best activities are running, hiking and yoga, the latter of which provides a number of additional mental health benefits thanks its incorporation of rhythmic breathing and mindfulness. 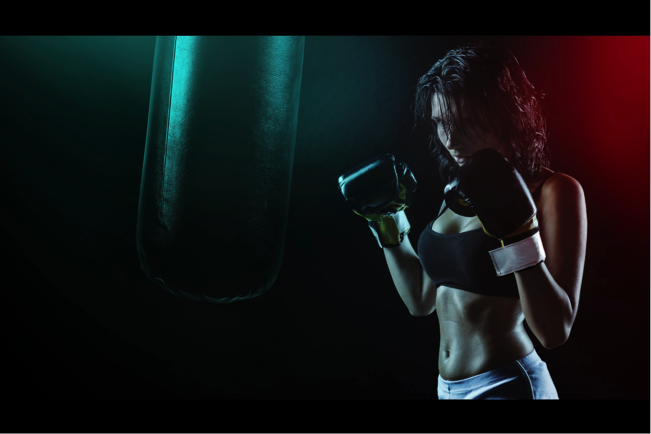 Fitness also serves as an excellent outlet for frustration as you release your negative emotions through physical activity like a flurry of punches on a heavy bag. The exertion will also kick-start that endorphin boost, leaving you with a healthy post-workout buzz in place of the pent-up anger you felt going into the gym. Any kind of exercise works, and the wellness website Lifestrong.com suggests simply going for a walk or a jog. The best way to feel better about yourself is to accomplish something, and exercise allows you do just that. With each run at the park or session at the gym, your physique will gradually improve until there’s no denying that you look better, and feel better to boot, or so say the experts at health website Sharecare. This will inspire increased self-confidence as you realize what you can achieve with a little effort. It takes some self-control to exercise every day rather than wasting your time with TV or video games. It turns out that it’s a two-way street, and you’ll be rewarded for sticking with your workout with increased discipline to keep doing so in the future, according to an article in the New York Times. One researcher suggested that exercise alters parts of our brain involved in higher-level thinking and decision-making to encourage impulse control. The chaotic life that you once led is now shaping into something completely different. Fitting in your aerobics or weight-training means sticking to a strict schedule throughout the day. You’re quickly falling into a routine, which helps you balance work and family while keeping you away from the harmful elements of your previous lifestyle. You’ll make new friends, or even find a new romantic interest as exercise puts you in touch with others who share the same interest in fitness and can bond over a particularly strenuous workout. The easiest way to meet people would be to sign up for a group activity such as aerobics, Crossfit or yoga where you’ll have ample opportunity to chat and exchange numbers while cooling down afterward. Now can you find the time to add a workout into your daily planner? You’ll get the best results through consistency, so make time everyday for exercise, even it’s just a half hour in the morning or evening. It’ll be even easier if you choose something fun and crank up the music.